Flow is an optimal state of consciousness. The flow state is also known as being “in the zone”. It’s where you perform your best. And you feel your best. We’ve all experienced flow at some time in our life. Recall a time where you were totally absorbed in something. It had your total attention. You were so focused that everything else disappeared. Your sense of self vanished. Self-consciousness didn’t exit. Time dilated. A 5-hour experience felt like 5 minutes. But the opposite is also true. Time can slow down. So it feels like things are happening in slow motion. But however you experienced this flow state, your physical and mental performance were off the charts. With a little knowledge and some practice, you’ll recognize a flow state coming on. And with your brain chemistry and brain waves optimized with the right nootropics, you’ll experience flow like never before. This article is all about hacking your flow state. What recent research shows is happening to you during flow. And the variables you can influence to go into the zone more often. Csíkszentmihályi hypothesized that people are happiest when they are in a state of flow. A state in which you are so involved in an activity that nothing else matters. This state we now call “flow” has fascinated across cultures. And throughout written history. Buddhism and Taoism refer to flow as the “action of inaction”, or “doing without doing”. Ancient Advaita texts including the Bhagavad-Gita also refer to a state which we now call “flow”. 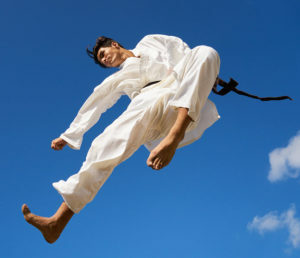 Steven Kotler, author of “The Rise of Superman”[iv] and cofounder of the Flow Genome Project writes that athletes in action and adventure sports consistently enter the flow state. Because their activity frequently puts them in life or death situations. It’s “flow or die”. Neuroanatomy – Your prefrontal cortex shuts down. This is known as “Transient Hypofrontality”. Your prefrontal cortex is the part of your brain that hosts your higher cognitive functions, sense of morality, sense of will, and your sense of self. Going into flow is like someone hitting the ‘Pause’ button on this section of your brain. It’s why you feel a “runner’s high”. Your inner critic is turned to ‘off’. You have no sense of being ‘self-conscious’. 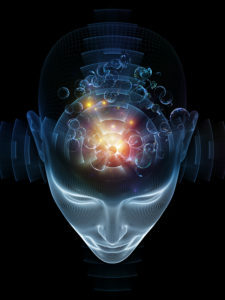 Neurotransmitters – Once you experience a flow state, the feeling and memory are so profound, it stays with you. And you want more of what you just had. The flow state experience is profound largely because of the neurotransmitters involved. Flow begins with suffering and anxiety. And your inner critic is in high gear. The early stage of flow starts with a spike in the neurotransmitter norepinephrine, and the hormone cortisol. Either you become exhausted, or if you’re wise enough to notice this state – you surrender and relax. Nitric oxide increases, and flushes the stress chemicals out of your blood stream. Once you enter the flow state, dopamine kicks in. It feels like you want more of this. And you should keep on doing it. Endorphins increase and you feel no pain. And finally you enter the memory consolidation stage with raises in the neurotransmitter serotonin. Brain Waves – Research using EEG and fMRI in the last 5 years have identified the brain waves involved in the flow state. When you approach a flow state, the spike in norepinephrine and cortisol is accompanied by busy, hyperactive Beta brain waves. When you get too tired or frustrated. Or if you’re wise enough and simply relax. Nitric oxide kicks in along with relaxed but alert Alpha brain waves. Once you enter the flow state, along with dopamine, endorphins and anandamide, you experience Theta brain waves. 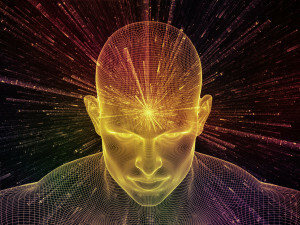 Theta brain waves are the states experienced by long-time meditators. This is the state of optimum feeling and heightened performance. We rarely go into Theta during a regular waking state of consciousness. As you leave the flow state, you go into deep Delta brain waves. This is the stage of memory consolidation along with a boost in serotonin. You get the afterglow of immense satisfaction. And the good feelings of serotonin. Now that we understand what happens leading up to, during, and after a flow state. It’s tempting to think we can use this as a ‘prescription’ to achieve flow. But flow isn’t as easy as learning a simple recipe. Being a long-time meditator, I’m going to take some liberties here. And go a little deep on you. You see this all the time with athletes participating in extreme sports. You see it in musicians during an extended and inspired jam session. As a copywriter, I experience flow almost every day. Writing a piece like this requires intense research. And flooding my brain and system to overwhelm. Until the flood gates burst. And I start to write. This is flow. So practice and repetition may help you develop the ability to experience flow on demand. Visualization can be part of the ‘repetition’ process. This is often the beginning stage of the flow state. It can be hellish. Or if you recognize it for what it is. You can catch the wave. And ride it through. Earlier, we discussed nearly all the major neurotransmitters involved in various stages of flow. And the brain waves involved in each. Well, it turns out you can have a much deeper, more pleasant, memorable flow experience when neurotransmitters and brain waves are optimized. My life and work is an example of how flow can be hacked. But nootropics alone can’t produce a flow state. It’s a full body experience. Nootropics however can help achieve and provide a better, fuller, richer flow experience. Next, we’ll look at some nootropics that can help in each stage of a flow state. Both optimizing neurotransmitters and brain waves. While nootropics will not induce a flow state. The right supplements can certainly provide a more pleasant, powerful experience. The neurotransmitters involved in flow include norepinephrine, dopamine, endorphins, anandamide, and serotonin. Nitric oxide is needed to help flush out the stress chemicals that allow you to go into flow. And brain waves involved in flow include Beta, Alpha, Theta and Delta waves. Each of these neurotransmitters and brain wave patterns can be influenced by the right nootropic. And we have a lot of nootropics to choose from. So this next section are suggestions for assisting each stage of flow. There are many more options for optimizing neurotransmitters and brain waves than what I include below. This is not a definitive list. But my intention is to get you started. Experiment and see what works best for you. Dopamine is converted to norepinephrine by the enzyme dopamine β-monooxygenase, with O2 and ascorbic acid (Vitamin C) as cofactors. If dopamine levels are low, norepinephrine levels will be low as well. And you won’t go into flow. 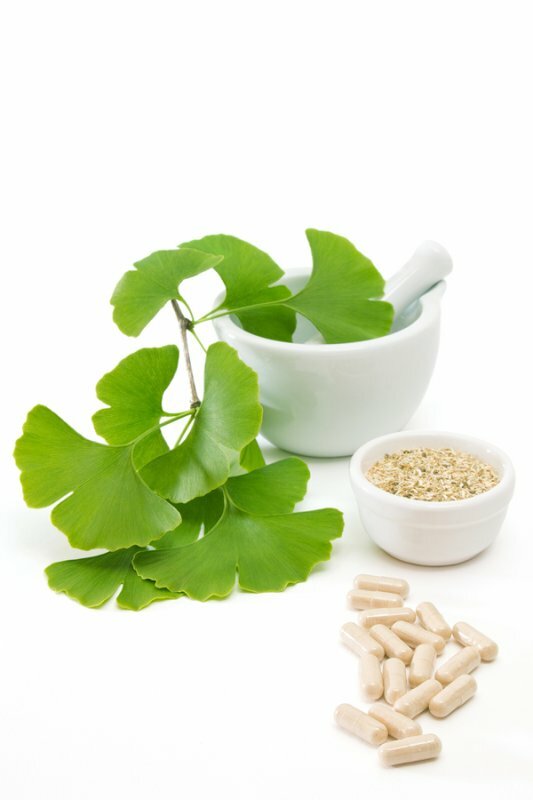 Ginkgo Biloba – Ginkgo acts as a monoamine oxidase inhibitor (MAOI) which reduces levels of monoamine oxidase (MAO) in the brain. MAO breaks down dopamine. [x] Particularly as you get older. And Ginkgo is very effective in boosting cerebral circulation. Providing your brain the nutrients and neurotransmitters it needs during flow. N-Acetyl-L-Tyrosine (NALT) – L-tyrosine is the precursor to producing dopamine in your brain. NALT enhances working memory, executive function, creative flow states, reduces stress, improves mood and is anti-anxiety. Suggested dosage of NALT for ADHD is 350- 500 mg twice per day. Mucuna Pruriens (L-Dopa) – Mucuna works as an antioxidant and heavy metal chelator, improves memory and cognition, reduces depression and boosts libido. L-Dopa is also the precursor to dopamine. Suggested dosage of Mucuna Pruriens is 250 – 500 mg per day. N-Acetyl L-Cysteine (NAC) – NAC is an amino acid that regulates the amount of glutamate and dopamine in your brain. And NAC protects your dopamine receptors. Influencing dopamine levels and function in your brain. NADH – NADH is the active coenzyme form of Vitamin B3 (niacin) present in every cell in your body. NADH helps stimulate the production of dopamine, norepinephrine and serotonin. [xi] All neurotransmitters involved in flow. Vitamin B6 and B12 – Both vitamins B6 and B12 are a prerequisite to achieve a flow state. This is NOT optional. Both are required for the synthesis of neurotransmitters dopamine, norepinephrine and serotonin. B12 even helps increase serotonin and dopamine levels in your brain. And even mild deficiency in B6 results in down-regulation of GABA and serotonin. Without it you will not experience the afterglow of an amazing flow state. Nitric oxide is required to flush the high levels of norepinephrine and cortisol produced to ensure a smooth transition into the flow state. 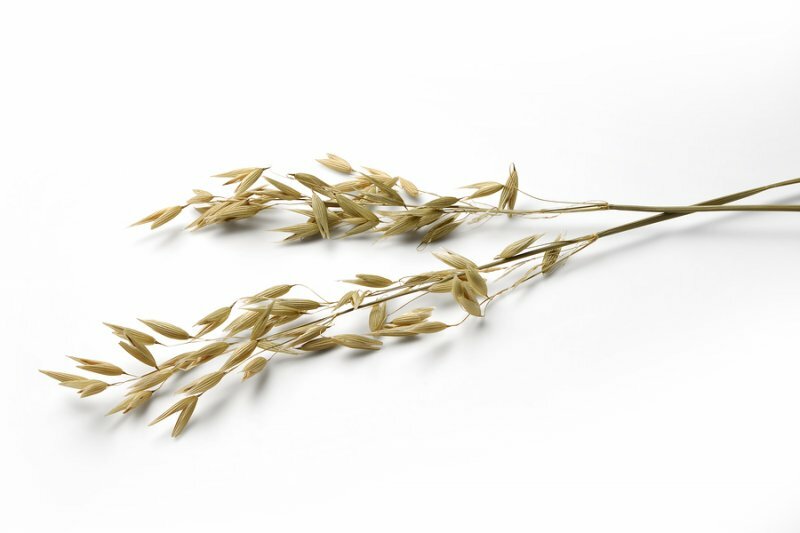 Oat Straw – Oat Straw is an MAO-B inhibitor which increases dopamine levels in your brain. Oat Straw can improve attention, focus, cognition and concentration. And it helps boost nitric oxide and inhibits the enzyme PDE4 which helps dilate blood vessels. [xii] Flushing out your system to prepare you for a full flow experience. NADH – NADH does double duty during the flow state. Not only does it boost dopamine, norepinephrine and serotonin. It also helps boost the production of nitric oxide to help flush out the stress chemicals so you can go into flow. Vitamin B3 (niacin) – Niacin does double-duty by helping to stimulate the production of dopamine, norepinephrine and serotonin. Critical neurotransmitters involved in the flow state. And niacin boosts the production of nitric oxide. Helping to flush out the stress chemicals necessary to ensure you enter flow. Phenibut – This nootropic is an analogue of GABA which stimulates your pituitary gland to secrete Human Growth Hormone. And helps produce endorphins that make you feel good during and after a flow state. Picamilon – Is used to boost GABA in your brain and produce alpha brain waves. Picamilon also helps produce the endorphins that make you feel good during and after a flow state. Rhodiola Rosea – Rhodiola is nearly mandatory for a mind-blowing flow state. This adaptogen not only boosts serotonin and norepinephrine levels contributing to good mood. But it also increases the feel-good opioids like beta-endorphins. Ginseng – Ginseng does double-duty during the flow state. This adaptogen provides neuro-protection on the dopaminergic-pathway. And is also a potent serotonin reuptake inhibitor (SSRI). [xiv] Working as an antidepressant and contributing to a great conclusion to flow. L-Theanine – Commonly found in green tea, L-Theanine helps boost GABA, serotonin and dopamine in your brain. Rhodiola Rosea – Rhodiola helps improve alertness, energy, memory and mood, is anti-anxiety and anti-depressant, reduces fatigue and boosts cognition and concentration. Rhodiola influences serotonin and norepinephrine levels in your brain. Suggested dosage of Rhodiola extract is 150 – 200 mg per day. Vitamins B6, B8 and B9 are all needed to help the synthesis of serotonin in your brain. L-Theanine – L-Theanine boosts alpha brain waves (8-12Hz) promoting alert relaxation. [xv] And theta brain waves associated with creativity and relief from trauma. 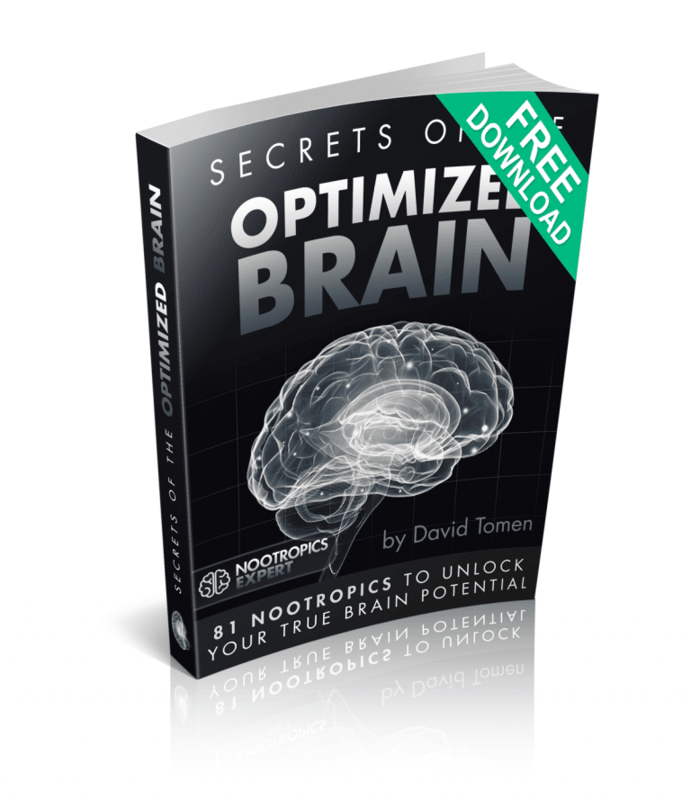 Noopept – This potent nootropic modulates AMPA and NDMA receptors in your brain. Modulates levels of glutamate within neurons and protecting brain cells. Influences Long-Term Potentiation needed to develop long-term memory. And boosts Alpha and Beta brain wave activity. Flow is the ultimate state of consciousness where you feel and perform your best. And nootropics can certainly assist in getting to, maintaining, and coming out of an amazing flow experience. One final note on all the nootropic supplements suggested above. You may have noticed that the B-Vitamins are involved in synthesizing and producing all major neurotransmitters. 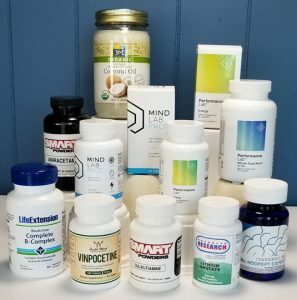 Every nootropic stack should include a high quality B-Complex formula that includes highly bioavailable Vitamin B9 (folate not folic acid) and B12 (methylcobalamin not cobalamin). 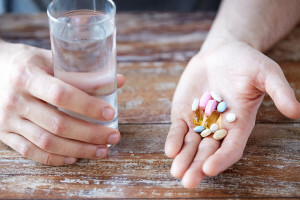 For dosage recommendations, side effects and drug interactions, click on the link to each nootropic to see the full article on that supplement. When you’re in flow, your productivity and creativity go through the roof. Steven Kotler, author of The Rise of Superman found that being in flow (or the Zone), can increase productivity by 500 – 700%. Think about that for a minute. One day in flow can produce as much as what would normally take you a full week to do. And nootropics can help. If you’ve experienced the flow state and have any suggestions that could help the rest of us neurohackers. I’d appreciate your comments below. Thanks for your article David. 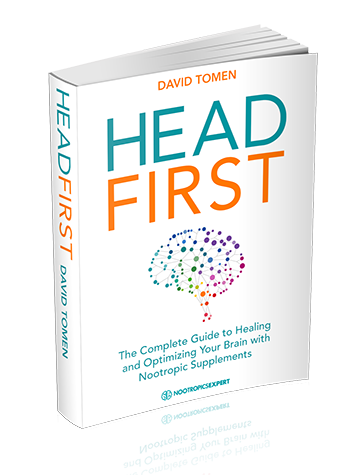 I am working towards brain optimization & flow states with changes in habits and various nootropics. I appreciate your list and agree with your explanations! My biggest issue is being decisive about what I want going on in my life–this has to happen first before I can delve into flow. Time to let some things go! Christine, there is much wisdom in … “Time to let some things go!”. And in my humble opinion it may help to let this go too “being decisive about what I want going on in my life–this has to happen first before I can delve into flow”. David, thank you so much for this fantastic article and website. I’m excited to start using MindLabPro’s formula as you’ve suggested. I noticed that they list their Vitamin B9 component as “synthetic folic acid.” In this article, however, you noted that the preferred form of B9 is folate. I’ve also seen this recommendation elsewhere – with folate or folinic acid suggested as superior forms, while folic acid itself suggested as having potentially adverse effects. Are you comfortable with MindLabPro’s formulation? Would you recommend adding folate separately? Thanks! David, further reading on MindLabPro’s website reveals that their B9 form is indeed folate. Perhaps “synthetic” in the description on the other page was meant to indicate that it is folate, and not folic acid, in their formulation. Thanks again for the insights! Mike, folate is the preferred from of Vitamin B9 because it is ready to use by your body. No conversion necessary. Mind Lab Pro is using folate and not folic acid (which is synthetic). I believe it is a mistake in the copy on their website. The company that makes Mind Lab Pro is Opti Nutra. And they use their own proprietary “BioGenesis” method of producing vitamins and minerals. It’s a fairly complicated process using a yeast culture. But the result is the same type of vitamin or mineral you would get from food. And that your body recognizes as the type it can use. I am completely comfortable with Mind Lab Pro’s formula and ingredients or I would not have used it daily for over 2 years. I’ve tried other stacks and MLP works best for me.